For many people, words like “exercise” and “fitness” elicit thought of people running in the sun or spending long hours pumping iron at a gym. Though there’s certainly nothing wrong with joining a gym or being one of those early-morning multi-mile runners, it’s important to think of proper fitness as something achievable by anyone, anywhere. Getting some much-needed exercise should not be dependent on the weather, season, or how much free time you have in your daily life. Instead, we should think of fitness as something we build into our daily routines. Here are some solid tips for year-round fitness that you can work into your busy day. If you think that you have to spend hours at the gym every day to see results, think again. Short, intense workouts have been shown to produce positive effects. There are tons of short, intense workouts out there that you can do at home, at work, and indoors (so they’re not weather-dependent). A great tip for better overall fitness is to find ways to incorporate fitness into your already-established routine. Another way of looking at this is finding ways to exercise when you’re doing things for which you’re normally sedentary. Work is the best place to squeeze in workouts. Instead of sitting at your desk during lunch, take a 20-30 minute walk, or squeeze in a short 10-minute workout routine. Do you have some work to get done at home? Do your work while walking on a treadmill or riding a stationary bike. Fit in 10 crunches and 10 push-ups during commercials for your favorite show. Take a jog with your dog. Dog walking, in fact, is one of the best ways to get exercise because you have a motivator - your canine friends needs it too. 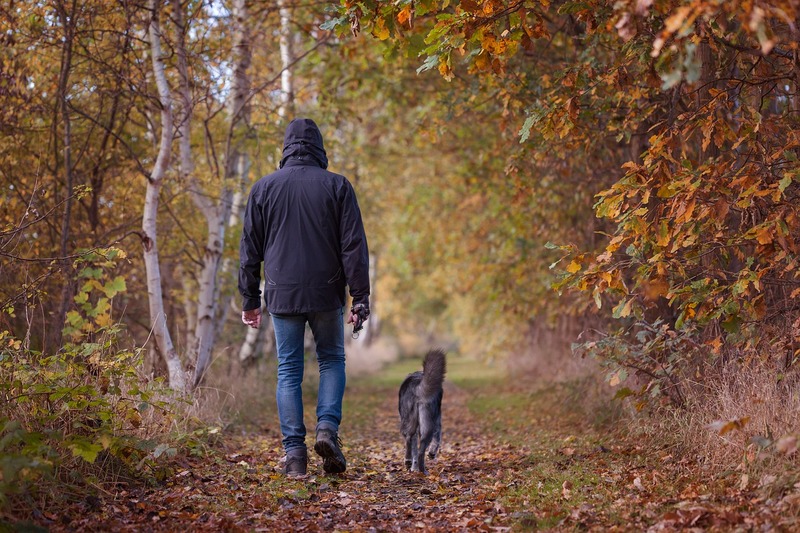 Depending on what kind of dog you have, going on walks, jogs, or even runs with them is a great way to get in your exercise for the day. Plus, on top of the fitness benefits, you’ll be rewarded with a better-behaved pup. There is no fitness without proper nutrition. To stay fit year-round, you can’t just burn off all the fat. You need to eat right. One tip to get you moving down the path to better nutrition while also saving you a lot of time is meal prepping. The practice, which is gaining popularity, involves taking some time to cook and portion meals for more than one day - oftentimes a whole week. The reason why meal prep is becoming so popular, other than the time-saving factor, is that it allows people to moderate their portions. Basically, the mentality is whatever I put in this one tupperware container is what I eat for lunch. Nothing more, nothing less. There are many ways to go about meal prepping. You can make a giant batch of healthy chicken chili on Sunday, and eat it for lunch throughout the week. Or, you can simply take some time to marinate and portion meat or vegetables for the week and then cook them at dinner time. One good thing about cooking items that can be stored in bulk is that a lot of these foods - like soup, stew, chili, and rice/pasta dishes - can use canned or frozen ingredients. This means that it’s a good year-round solution.